Owning a pet is one of the highlights of life for many people; dogs, especially, are loyal animals who give comfort and bring peace to individuals and families alike. Whether you own a puppy or an older pet, it’s important to learn the finer points of being a conscientious dog owner. This will not only help you remain in the good graces of your friends and neighbors, but it will also keep your dog safe and happy for years to come. Good dog etiquette can mean anything from training your pup to making sure he’s vaccinated and healthy; it all depends on where you live, whether your neighbors have pets of their own, and how often you take your dog out in public. Being conscientious also means making sure your pet minds his manners at the park, spaying or neutering for population control, and giving him lots of love and attention so that he’ll keep his behavior in check. Keep reading for some great tips on how to be a conscientious pet owner. Installing a fence between your yard and your neighbor’s will not only ensure your privacy, it will help keep your dog safe, as well as your neighbor’s pets. Not all animals want to be friends, so having a barrier will protect everyone involved. It will also prevent your pet from mating with other animals should he start to wander. Keep in mind that the average cost to build a fence in Littleton is between $1,465 and $3,443. Your dog’s health doesn’t just affect him; it affects everyone around him. From strains of the flu that can be highly contagious to worms, fleas, and ticks, dogs can unknowingly spread disease and illness to others in their orbit, especially at dog parks. Keeping him healthy with annual vaccinations and flea/tick medication (which can be purchased for under $40) will help ensure that he stays in good health. Training your dog will ensure that no matter where you are or who’s around, you can keep a measure of control over him for everyone’s safety. You don’t have to hire a professional dog trainer; there are several simple tricks you can teach your pet yourself. Learning to sit, come, and stay down will help him mind his manners and will keep your friends and family happy when they come to visit. If you do require the help of a professional, the average cost of hiring a dog trainer is $50 per hour. Some animals have a hard time getting used to being around people or other animals, especially if they are rescues who were abused or had a hard life, so it’s important to make sure you socialize your pet as much as possible. This means taking him to the dog park often so he can be around other dogs, as well as taking him on walks around the neighborhood so he can get used to cars, other people, and the general sights and sounds that surround you. 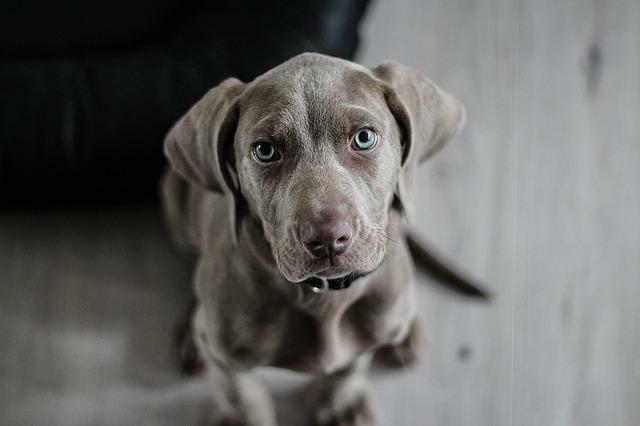 It’s important to know what to expect as a pet owner, so if you’re thinking of getting a dog, do some extensive research first and find out everything you can about the kind of breed you want, the cost involved, and how to keep them healthy. Owning a pet is a big job that requires a lot of time, energy, and money, and there’s no way to be a conscientious dog owner if you don’t understand all the things that go into taking care of one. Learning to be a conscientious dog owner doesn’t have to be hard or stressful. With a few simple steps, you can ensure that your pet is well taken care of and that everyone who comes into contact with him is safe and happy.